Non-desk employees rarely have access to internal corporate news or get the chance to share insights with colleagues. In the public transport sector, this pitfall can be easily avoided. 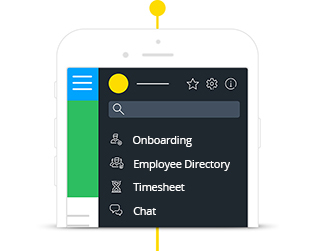 With your branded employee app you can provide all of your employees with targeted information, practical HR tools and services, and the opportunity to give useful feedback. 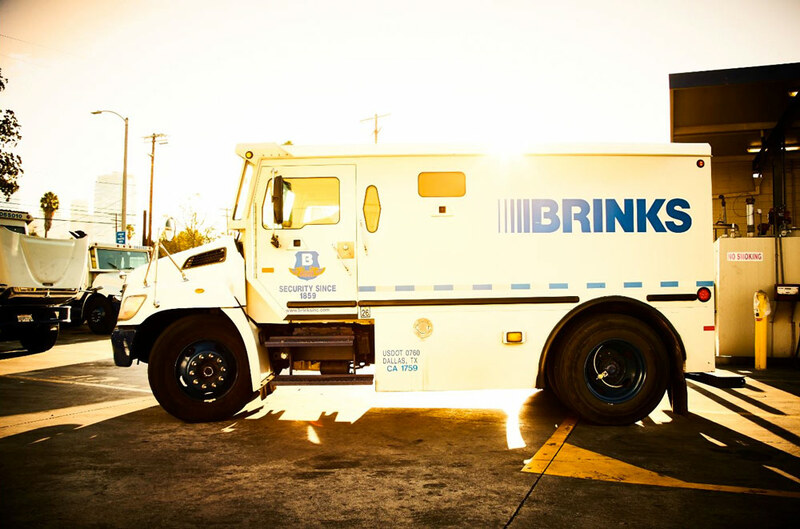 Ensuring that public transportation runs smoothly means keeping your employees informed in real-time about hazardous conditions, outages and maintenance, or sudden road or track closures. Well-informed employees are happy employees, and the same goes for your customers. Employee satisfaction also reflects an open and engaging corporate culture. For non-desk workers, the bureaucratic parts of their job are often hard to manage without direct access to documents and HR platforms. With their own mobile employee app, these issues are no longer a problem: Employees can use the app to request vacation days, view their shift schedule, access forms, etc. Employees in public transportation often have little direct contact with their colleagues. 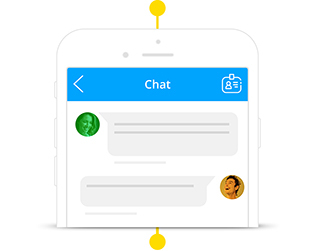 Your own employee app gives remote or isolated workers a sense of being part of a team, allowing them to see their place in the bigger picture. Such networks promote a feeling of close emotional association with your company. The Berliner Verkehrsbetriebe (BVG) manages the German capital’s U-Bahn railway, tram, bus, and ferry networks. 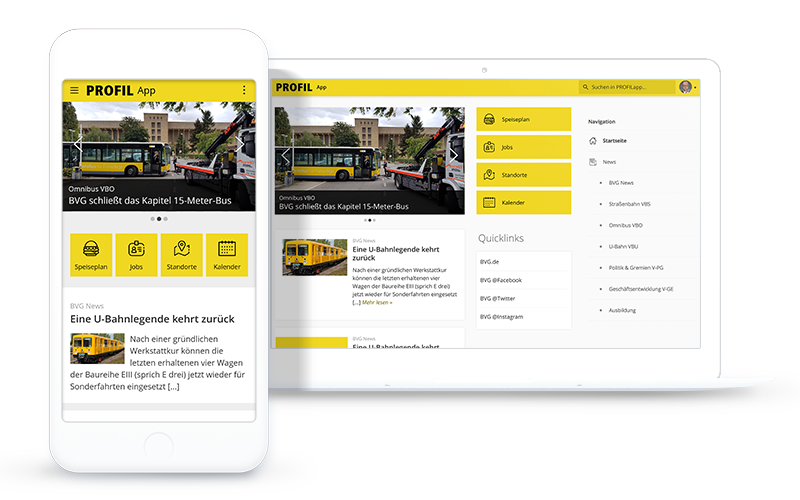 With its PROFIL employee app, not only has the company created a mobile internal news channel, but they’ve also established an effective tool for training and onboarding. These features are available in multiple languages for the benefit of international employees. 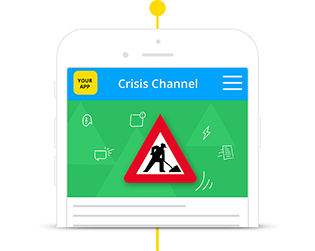 The handling of crisis situations such as extreme weather conditions can now be communicated via the app, as well as shift schedules, internal job offers, or even the daily cafeteria menu. We’re happy to personally help answer all of your employee app questions. 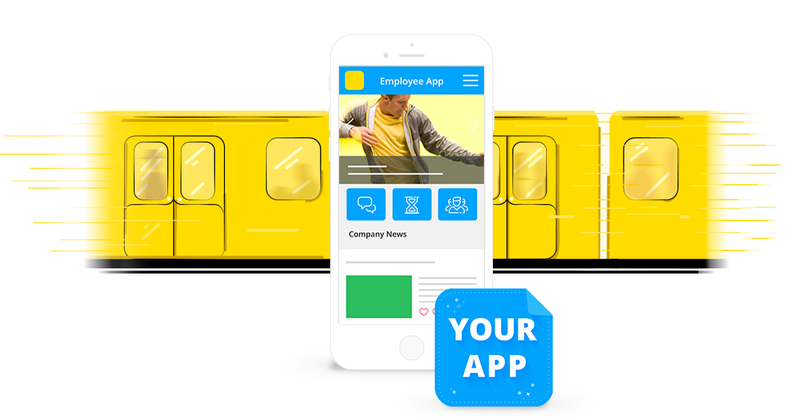 Our Public Transport Customers Successfully Connect Their Employees with a Branded App. Sign up to get current news on internal comms, case studies, and best practices. 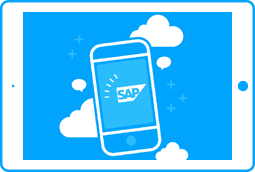 SAP HR Services in Your Branded Employee App - There are numerous reasons to invest in providing your SAP HR services with a branded app, including the creation of a mobile access point for all HR services with the ability to reach all of your employees.